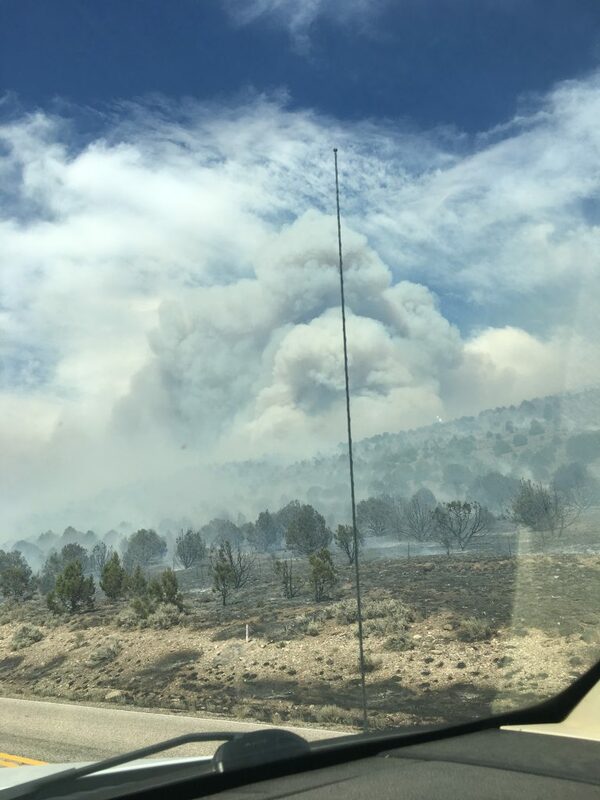 CEDAR CITY — The approximately 1,000 residents of Minersville were spared from evacuation Thursday when a wind-driven wildfire that had been heading toward the town shifted to the east. 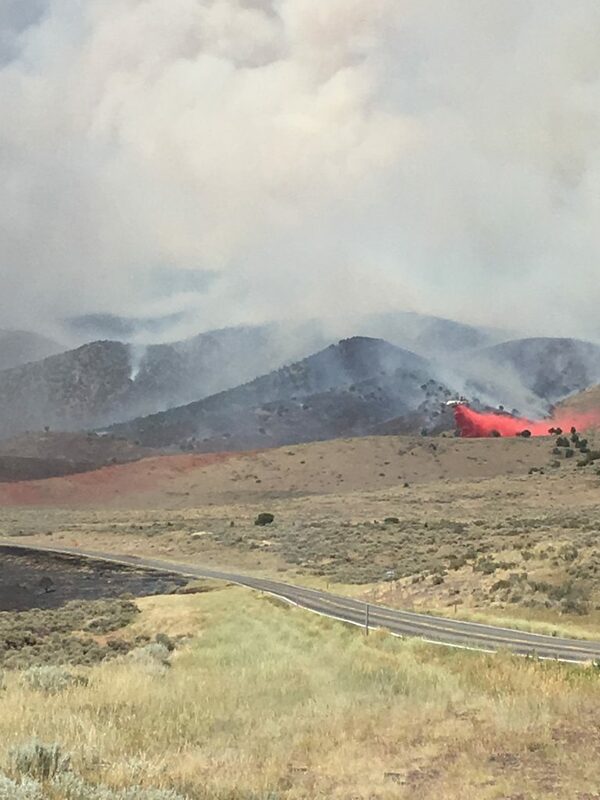 State Route 130 was closed for several hours Thursday while fire crews battled the fast-moving blaze, which has been named the Black Mountain fire. 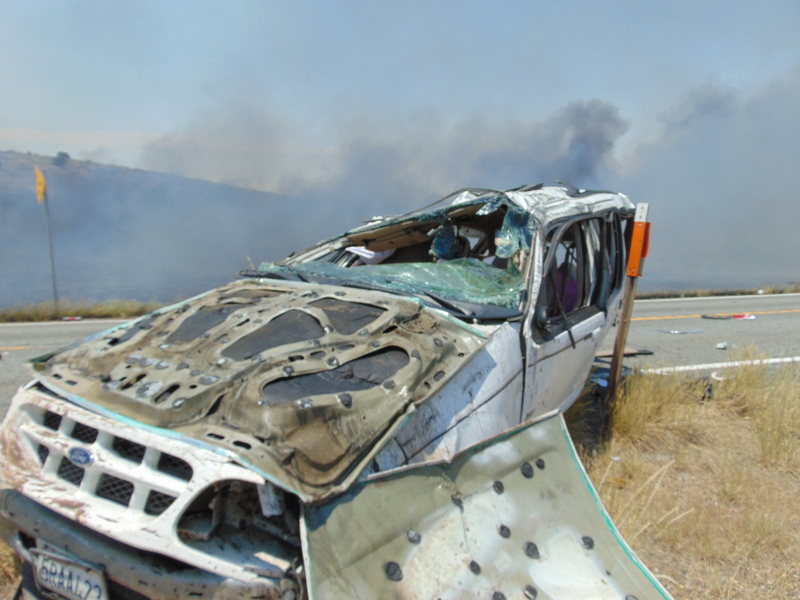 The fire reportedly started shortly before 1 p.m. Thursday as the result of a vehicle accident on the highway, authorities said. Late Thursday, ground crews and heavy equipment operators worked to build a direct fireline along the fire’s perimeter to stop the forward progression on portions of the fire located on the west side of SR-130. 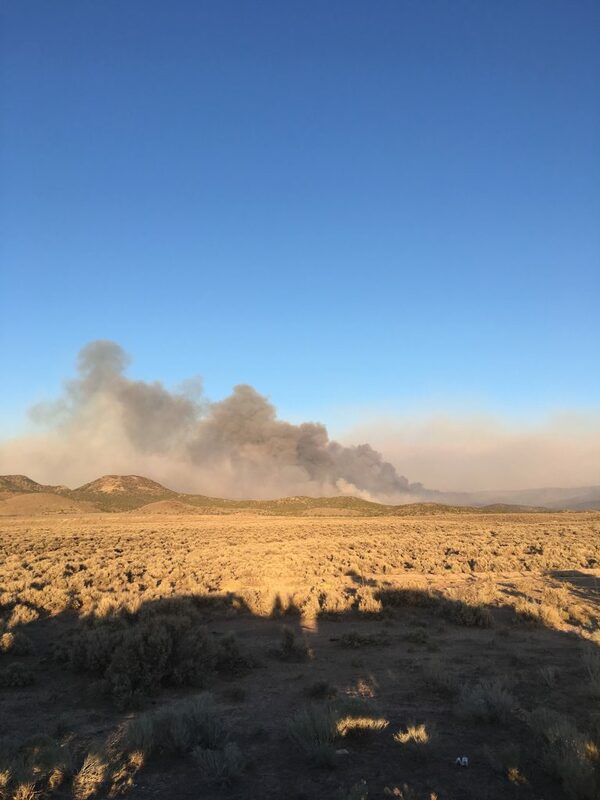 The fast-moving blaze roared through dry brush and grass, along with pinyon and juniper trees, consuming more than 4,000 acres within the first few hours. Nick Howell, public information officer for the Color Country Interagency Fire Center, said the fire had burned around 5,000 acres as of late Thursday night, with zero containment. SR-130 was reopened around 8 a.m. Friday, he said. There are no evacuations in place and none that are planned. “It slowed down a bit last night,” Howell told Cedar City News Friday morning, adding that a recon flight was planned for Friday morning to map the fire and get a more accurate assessment of its size, speed and movement. “Crews are working the north side of the fire to mitigate the risk to Minersville,” he said. Approximately 200 firefighters have been assigned to the incident with a local interagency Type 3 team assuming command as of 6 a.m. Friday. Additional resources have been ordered and are expected to arrive Friday. 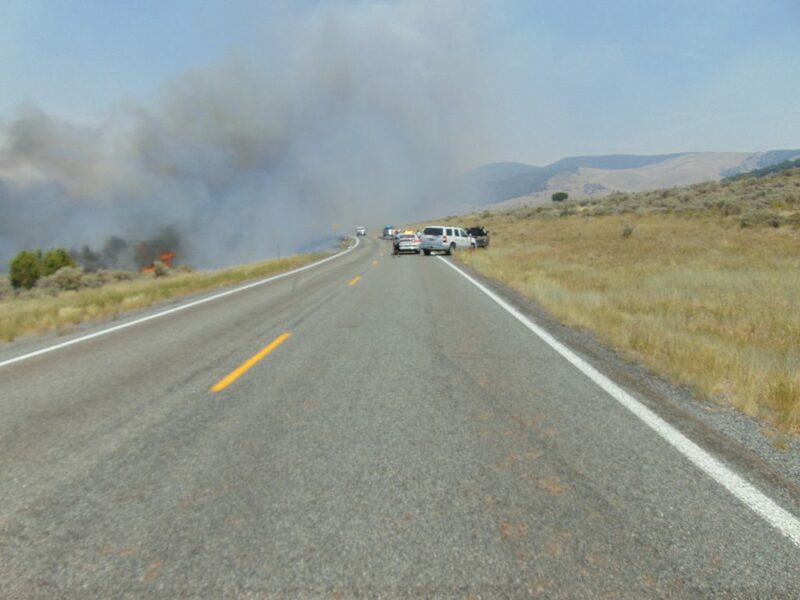 Check Utah Fire Info’s website for updates on the Black Mountain Fire and other Utah wildfires. 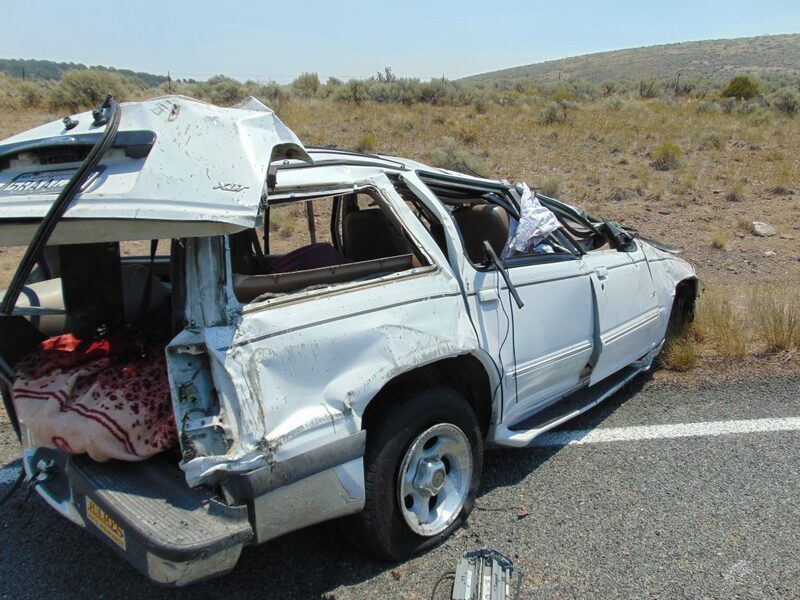 The driver of a white 1998 Ford Explorer was traveling north on SR 130 near mile marker 33. The driver drifted off the right shoulder into the dirt, overcorrected to the left, and then back to the right. Due to the driver’s overcorrection, the vehicle overturned and rolled several times. The driver was transported to Beaver Valley Hospital with minor injuries. The sparks from the rollover started a brush fire that is still burning, and likely will be for some time. The weekend weather forecast continues to look bleak for firefighters. The red flag warning issued Thursday by the National Weather Service has been extended until Saturday at midnight. Southwest winds of 15 to 25 mph are expected, with gusts up to 30-35 mph, shifting to gusty northwest winds. The winds, combined with relative humidity falling to between 10 percent and 15 percent in the afternoon through Saturday, will create critical fire weather conditions, which will likely accelerate the spread of any new or existing fires. UtahFireInfo’s Twitter page posted Friday morning that 27 human caused fires have occurred within the state over the past two days. Of those, at least seven are actively burning. 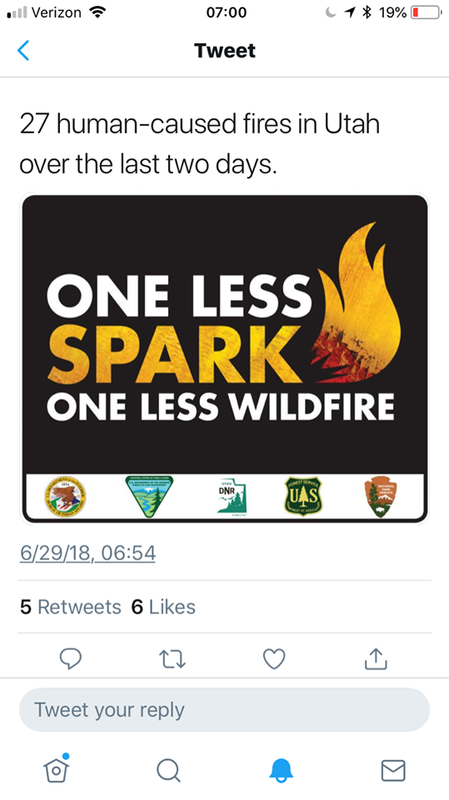 “One less spark, one less wildfire,” the tweet cautions. 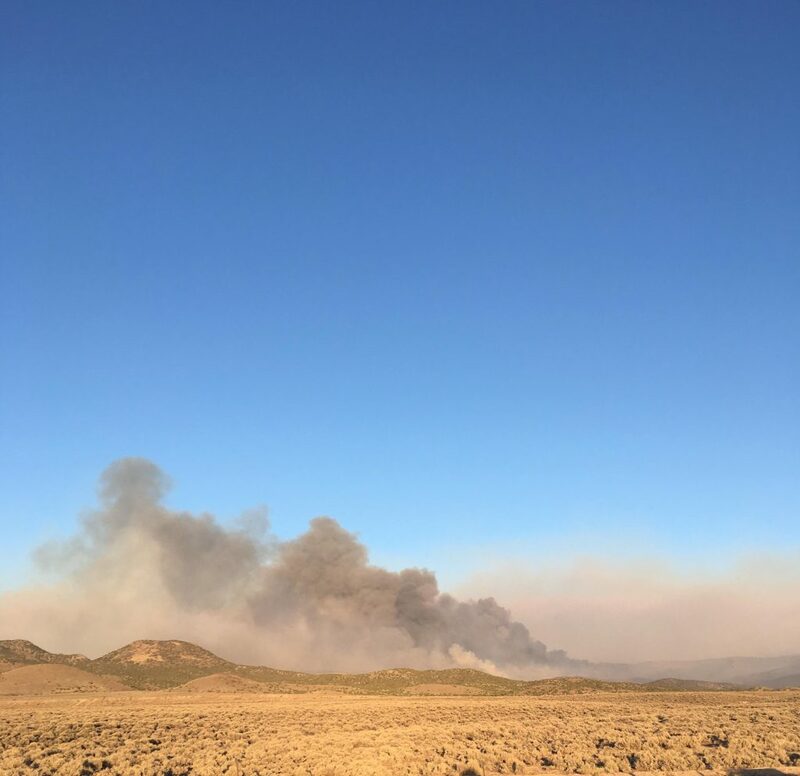 There is a bit of good news regarding one of Southern Utah’s active wildfires: the Dry Canyon blaze that started near Parowan Wednesday afternoon. Crews reportedly made “good progress” on the fire, with the fire now at 80 percent containment as of 10 p.m. Thursday, having burned just 23 acres. In addition, the number of firefighters working the fire has been scaled back, freeing resources for other, larger fires in the area. State Route 143 remains open, and there are no structures threatened by the Dry Canyon fire.